An introduction to a tool for developing UI components outside of your app in an isolated, more collaborative environment. Pure functions are essential for a variety of purposes, including functional programming, reliable concurrency, and React+Redux apps. A JS decorators proposal is sitting at stage 1 of the ECMASCript process, but may soon advance further. 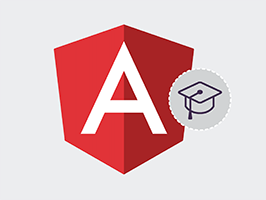 Master RESTful API's, Advanced Promises, new concepts in ES6, TypeScript other important learnings for moving to Angular 2. Attend remotely from anywhere in the world and take advantage of recorded sessions after course completion. A look at style guides, why AngularJS projects can need one, and some existing style guides you can use. The recent events caused by the unpublishing of npm modules has caused some key changes in npm policy that you need to be aware of when publishing your own packages. A way to preview the latest technologies coming to Safari. Fresh from this week’s EmberConf. Flight is an event-driven behavior-to-DOM mapping JS framework by Twitter. An overview of how React works, how to build UI components for it and the benefits of the virtual DOM. Instant feedback from your tests in your editor, forget about context switching. Now in Sublime Text as well. jQuery plugins that help with horizontal scrolling situations. A dev environment, complete with debugging, for React Native projects. Build OS X desktop apps using React Native and Cocoa. Its aim is to open up the power of D3 to analysts. Features undo/redo, reanimation of drawings made. I like this idea. It’s like inline footnotes. Yes, We Actually DO Like Refactoring. We also love building test suites, integrating systems, and upgrading frameworks.